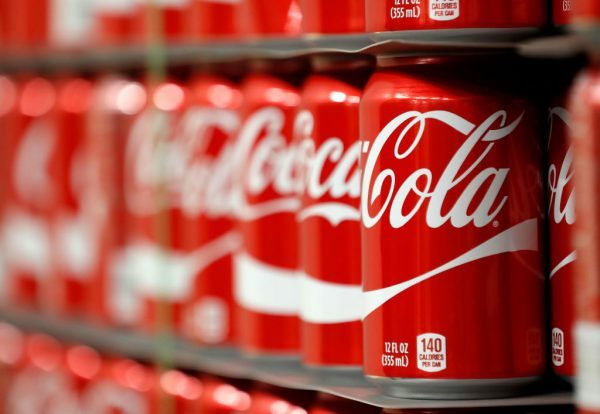 In 1902, Monsanto sold its first product, an artificial sweetener called “Saccharin” to the Coca-Cola Company. By 1905 Monsanto began to make profit by selling vanillin and caffeine. In the 1970’s saccharin fell in popularity when a study revealed that it caused cancer in test rats and mice – causing it be listed on the NIH’s carcinogen list. However, saccharin is still being used in drinks, processed foods, medicines, chewing gum, fruit spreads, toothpaste, and junk food. In 1944, Monsanto and 15 other companies started manufacturing DDT as an insecticide for killing pests. DDT was used in the civil war to take care of lice, and to curb diseases from transferring to soldiers from mosquitos. Hundreds of thousands U.S. soldiers were issued DDT powder and told to sprinkle it in their sleeping bags. Despite all the claims of Monsanto that DDT was safe, the research in the 1970s confirmed that DDT was toxic and due to public pressure DDT was banned in 1972. U.S. and International authorities classify DDT as a probable human carcinogen. During WW2, Monsanto was involved in creation of the first nuclear bomb in what was referred to as the “Manhattan project.” Additionally Army documents have surfaced linking Monsanto to white phosphorus, which has been used against people in the Gaza Strip (most recently), El Salvador, Lebanon, and other countries including in Vietnam during the war. Monsanto’s production of PCBs, DDT and Agent Orange has also played a starring role in various wars throughout the world. In addition to the Manhattan project Monsanto created chemical weapons that were sprayed on the Vietnamese civilians and American troops during the Vietnam War. “Operation Ranch Hand,” was a campaign where American planes sprayed 72 million liters of Agent Orange during the Vietnam War. The effect: over 1 million (roughly the population of Montana) Vietnamese children, women, and men were exposed to one of the most toxic chemicals on the planet, Dioxin. Over 100,000 American troops were also exposed. Monsanto and Dow Chemicals were the primary suppliers of Agent Orange, however Monsanto was able to produce a stronger version both quicker and cheaper, which is why Monsanto was the key defendant in the lawsuit brought on by Vietnam War veterans. Survivors of Operation Ranch Hand, experienced nausea, rashes, headaches, extreme fatigue, depression, suicidal tendencies, violent rage, cognitive problems, birth defects, peripheral neuropathies (nerve damage), cancer, and body deformities. More than 3 million American troops and their offspring were also the victims of Agent Orange. In 1987 Monsanto had to pay 180 million dollars settlement to the veterans of the Vietnam War. But Agent Orange didn’t just harm those involved in the war. In 2012, Monsanto settled a lawsuit with thousands of plaintiffs in Nitro, West Virginia for $93 million. Residents claimed they had been poisoned by decades of contamination from cancer-causing chemicals used in the manufacturing of Agent Orange produced in a Monsanto plant. Yes, you read that correctly. Monsanto even contaminated the “happiest place on earth.” Monsanto was involved in the creation of several Disneyland attractions that were entirely built with non-biodegradable plastic. One of those attractions was called Monsanto’s “house of the future,” an old video of this invention can be seen here. When Disney decided to remove Monsanto attractions, they couldn’t remove the pieces like they had with other plastic attractions. They had to squeeze large intact pieces of the non-biodegradable plastic into a truck and haul it off the property. Another non-biodegradable disaster created by Monsanto was Polystyrene. Polystyrene production became a focus of Monsanto’s in 1941 and is commonly referred to today as Styrofoam. Polystyrene is a petroleum-based plastic used in everything from packing materials, car parts, and food storage to medical applications. Since Polystyrene is non-biodegradable it has been dubbed the largest environmental waste product on the planet. Polystyrene is also considered the main component of marine debris worldwide. Harvard states “the environmental impacts of polystyrene production in the categories of energy consumption, greenhouse gas effect and total environmental effect ranks second highest, behind aluminum.” Since Polystyrene is made up of styrene and benzene, both neurotoxins, chronic exposure to it has been tied to many health concerns such as depression, headaches, fatigue, kidney failure, and weakness. Polystyrene food containers have been found to leach the toxins when they come into contact with warm food, drinks, alcohol and acidic foods. Aspartame was once on a Pentagon list of bio warfare chemicals yet was approved by the FDA in 1974. It is currently in over 4,000 products worldwide and is consumed by over 200 million people in the United States alone. What those 200 million consumers don’t know is that Aspartame clinically exacerbates predisposed illnesses and complicates illnesses such as Lupus, Multiple Sclerosis, Parkinson’s, diabetes, and allergies. By the early 80’s NutraSweet consumers complained of headaches, dizziness, vomiting, nausea, blurred vision, seizures, convulsions and a host of other reactions to aspartame. Despite the fact that complaints about aspartame represent 80-85% of all food complaints registered with the FDA, it is still on grocery shelves. Polychlorinated biphenyls, also known as PCBs, were one of Monsanto’s earlier successes at profiting off of a known toxic chemical. In the early 1920’s, PCB’s were used as lubricants, cutting oils and hydraulic fluids until scientific evidences showed that PCBs are one of the deadliest carcinogens and chemicals linked to auto-immune system disorder, birth defects, cancer, organ failure and death. In 1979, the U.S. Congress banned production as it recognized PCBs as a significant environmental toxin and a persistent pollutant. Rather than disposing their stockpile of PCBs in a manner that was least destructive to the environment, and human health, Monsanto dumped their PCBs in an open pit near Anniston Alabama. There they sat, secretly poisoning local residents for 40 years. In 2003, Monsanto was tasked to clean up it’s mess and paid out over $600 million to residents of Anniston, Alabama, who experienced liver disease, neurological disorders and cancer after exposure to PCBs. But Alabama wasn’t the only casualty. 99% of all PCBs were manufactured in a plant in Sauget, Illinois and currently Illinois has one of the highest rates of immature birth and fetal death and home to two superfund sites. A Superfund site is defined by the EPA as “an uncontrolled or abandoned place where hazardous waste is located, possibly affecting local ecosystems or people.” Although PCBs were banned in 1970s, they still remain in water along Dead Creek in Sauget where Monsanto had its plant for manufacturing PCBs as well as many other locations in the U.S.
Lawsuits and findings about PCB contamination continue today in the U.S. The city of Oakland, California filed a lawsuit that holds Monsanto accountable for allegedly contaminating of the city’s storm water as well as the San Francisco Bay with PCBs. A new Portland State University study revealed oysters native to the Pacific Northwest contain a cocktail of PCBS, glyphosate and pharmaceuticals. PCBs are another example of how Monsanto poisoned families, destroyed neighborhoods, and sullied renewable resources for profit. Monsanto’s rBGH is a genetically modified hormone that is injected into dairy cows to increase milk production. By artificially increasing milk output, rBGH also raises the levels of pus, antibiotic residues, and a cancer-accelerating hormone called IGF-1. When consumed by humans it continues to act as a cancer accelerator and has been linked to breast, colon, and prostate cancer. Many producers rejected rBGH and started labeling their products “rBGH free” but it is still in high use in the U.S. Certified organic farmers cannot use hormones like rBGH in dairy production. After DDT was banned Roundup became the new go-to product pushed by Monsanto. Glyphosate, the main ingredient in Roundup, was originally used as a scaling agent to clean water deposits from industrial pipes. In 1970, Monsanto chemist John E. Franz discovered Glyphosate to be a strong herbicide. 40 years later, Monsanto has flooded our food, our oceans, our rain, our intestinal flora, our wine, our beer, our breast milk, and our pollinators with Glyphosate. 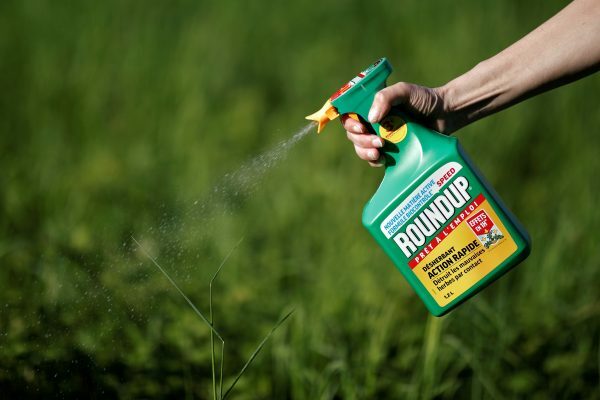 After selling Roundup, Monsanto’s sale grew by 20% and from 1980s to 1990s Roundup has made up for 45% of the company’s income. Glyphosate is now the most heavily used herbicide on Earth. In 2012, at least 283.5 million pounds were sprayed on American farmlands, according to the U.S. Geological Survey. These wouldn’t be shocking statistics if it weren’t for the fact that Glyphosate has been linked to cancer, infertility, a lowered immune system, and erectile dysfunction. But it’s not just human health that is in decline due to glyphosate, a 2015 report showed record decline in Monarch Butterflies due to Monsanto’s Roundup-ready crops. A 2010 study at the University of Buenos Aires also found that injecting glyphosate (the active ingredient in Roundup) into chicken and frog embryos caused the same sort of spinal defects that doctors have found to be increasingly prevalent in communities where farm chemicals are used. 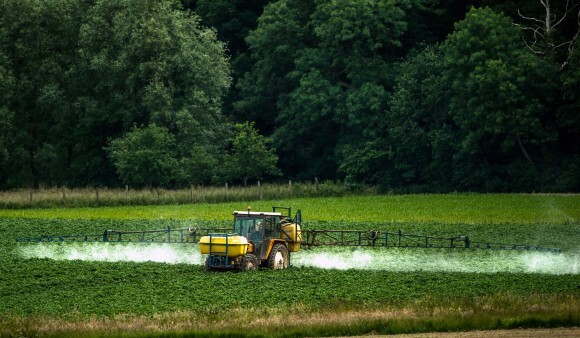 The World Health Organization declared glyphosate as a “probable carcinogen” but the biotech giant continues to discredit and fight those findings. Just this year Monsanto filed a lawsuit to prevent California from listing glyphosate as a known carcinogen. The EPA has recently been under pressure to release the final findings relating to glyphosate but just three days after posting the results they were removed. The EPA commented, “Glyphosate documents were inadvertently posted to the Agency’s docket. These documents have now been taken down because our assessment is not final. EPA has not completed our cancer review. We will look at the work of other governments as well as work by HHS’s Agricultural Health Study as we move to make a decision on glyphosate. Our assessment will be peer reviewed and completed by the end of 2016.” An investigation into this decision has been launched and the EPA is expected to respond to the science community by mid-May 2016. The true effects that glyphosate will have on our planet, our food security and our bodies will be revealed in time. Just as we eventually found out about Agent Orange, DDT, PCBs, Saccharin, Aspartame, and rBGH, the truth about glyphosate will become known. 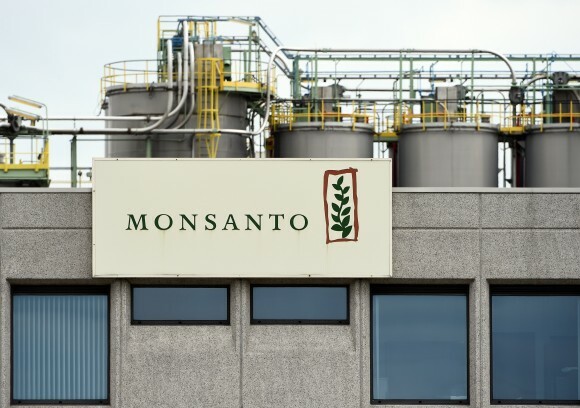 Monsanto is the first company to successfully patent seeds. In 2001, Monsanto owned 91% of GMO crops worldwide. 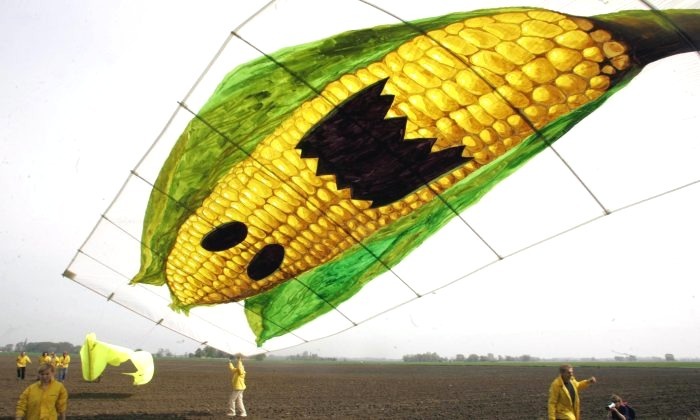 Monsanto’s introduction of genetically modified crops into the food chain started in 1997. Monsanto’s Roundup-ready GMO crops were developed to help farmers control weeds. Because the new crops are resistant to Roundup, the herbicide can be used in the fields to eliminate unwanted foliage. Current Roundup Ready crops include soy, corn, canola, alfalfa, cottonseed, and sorghum, with wheat under development. These crops show up in over 75% of processed foods today. Monsanto sold the GMO technology to farmers by promising worldwide markets, less use of chemicals and higher yields. None of these promises have come to pass, in fact just the opposite. GMOs have caused 99% loss in export of US agricultural products to Europe. According to a report, the use of pesticides has grown by 404 million pounds from the time they were introduced in 1996 through 2011. The food movement’s landmark attempt to label GMOs was under a proposed California law called Proposition 37 or “California Right To Know.” This law would have given consumers the right to know about GMO ingredients in their food so they could make an informed choice. The proposition was defeated after Monsanto and allies spent millions of dollars in false advertising and outspent the pro-labeling side ten to one. To date, the right to know about GMOs movement has only secured one victory with legislatures, in the state of Vermont, set to go into effect on July 1, 2016. A similar proposition that was also challenged by Monsanto was Prop 65. This proposition was targeted with millions of dollars in false advertising but managed to pass in California. Prop 65 required manufacturers to label their products for harmful chemicals and allowed citizens to bring suit to enforce the law if regulators proved lax. Monsanto’s latest attempt at manipulating democracy in their favor is the Safe and Accurate Food Labeling Act, better known as the Deny Americans the Right to Know Act or DARK Act. The DARK Act would undo state labeling laws FDA to require mandatory national labeling of GMOs. Monsanto has gone to great lengths to say that GMOs are safe, yet they go to greater lengths to keep consumers from knowing what they are eating. It poses the question; if they’re so proud of this product why hide it from consumers? The reason why Monsanto is still polluting the world with toxic chemicals is the company’s cancerous connection within the decision makers. There is a revolving door between Monsanto and the US regulatory and judicial bodies responsible for making key decisions. Although Obama promised to label GMOs in 2007, he appointed the key figures of biotech companies as head of FDA and USDA. Michael Taylor worked for the FDA, then represented Monsanto as a lawyer, then returned as the FDA’s Deputy Commissioner for Policy when rBGH, a growth hormone used to gain higher meat and milk yields in cows, was granted approval. Tom Vilsack: Former pro-biotechnology governor of Iowa that was assigned as USDA secretary. Roger Beachy: Former director of Monsanto who later became director of USDA. Elena Kagan took Monsanto’s side against organic farmers in Roundup Ready Alfalfa case and later nominated to Supreme Court. Linda Strachan was Monsanto’s representative who later became assistant secretary for USDA and EPA. Islam Siddiqui is a former DuPont and Monsanto VP who became the representative of agriculture negotiator for US trade. Justice Clarence Thomas was a former Monsanto lawyer who later wrote the majority opinion on a key Monsanto case. Prior to Monsanto meddling with our food, America was made up of a patchwork of small family farms. There was no such thing as organic, or conventional food. Everything was organic. Farmer’s were left to farm and worked hand in hand with nature. Farmer’s across the globe have fallen victim to a classic bait and switch contract imposed by the agrochemical giant. Monsanto baits them with promises of higher yields, easier weed control, thriving markets and switches those promises out with chemical dependency, terminator seeds, lower yields, and in many cases, the inability to sell their harvest. GMO Farmers must depend on Monsanto for both seeds, and the chemicals needed to grow them. This alters the century’s old tradition of saving seeds and working with nature to produce the highest yield. 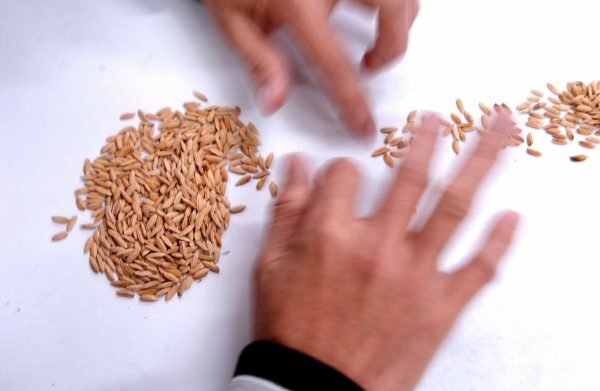 Farmers can no longer keep their seeds, share their seeds with local farmers or trade them when funds are low. What’s even more concerning is that entire crops become contaminated with GMO seeds as they neighbor farms or are subjected to cross-pollination issues. Fast forward to the age of mono-cropping, factory farming, DNA splicing, GMO farming, and subsidy-driven farming where hundreds of pounds of toxic chemicals are used to produce one glass of milk. Farmer’s in India and around the planet commit suicide daily after falling for Monsanto’s false benefits of GMO farming. Since the introduction of genetically modified crops into the food chain, Monsanto has filed 145 lawsuits against farmers. On average, that is about one lawsuit every three weeks, for 16 straight years. The chemical giant has won more than $23 million from its farmer targets. But farmers are fighting back against patent lawsuits and contamination complaints. One grain grower said that in 2004 he became ill due to Monsanto’s weed killer, the farmer claimed he suffered from neurological problems, memory loss, headaches and stammering after inadvertently inhaling the herbicide. He won his case in 2012 and after Monsanto appealed that victory, he experienced another historic moment. The appeals court said Monsanto was “responsible” for the intoxication and ordered the company to “fully compensate” François. Monsanto has a long history of corruption and greed dating back to the early 1900’s. Many of Monsanto’s crimes have long since been buried, yet their trajectory has been consistent. Profit at all costs. Sell chemicals, control food and fatten the pockets of its shareholders by all means necessary. As discussed in the points above, Monsanto maintains their control by collecting our elected officials, suing farmers, and blindfolding U.S. consumers. By 1995, Monsanto was ranked 5th among other corporations for releasing more than 37 million pounds of toxic chemicals into the environment. The corruption of our media becomes apparent when you read FOIA requests that show scientist, academics, and University professors being paid to attack organic enthusiasts, farmers, doctors, and nutritionists. The Monsanto mouthpieces are paid to tout benefits and safety of GMOs. A recent review found 27 articles quoting (or authored by) University professors after they received Monsanto funding, but without disclosing that funding. Even if you never purchase a GMO food or eat out at a non-organic restaurant you’re paying for subsidized crops through your tax dollars. GMOs are now in over 75% of the processed foods in the U.S. American taxpayers pay billions in farm subsidies. The top subsidy crops also happen to be the genetically engineered crops. We also end up paying for the environmental cleanup of all these Monsanto products after they contaminate our environment. As consumers, we often forget how powerful we really are. We CAN change the course of our food and environmental future by simply choosing to opt out of Monsanto’s experimental control. As you read this list, keep in mind, your story with Monsanto doesn’t have to end poorly. Americans are rising up and sharing the truth about the injustices Monsanto has carried out and you can too!